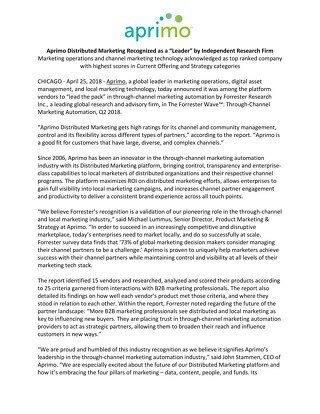 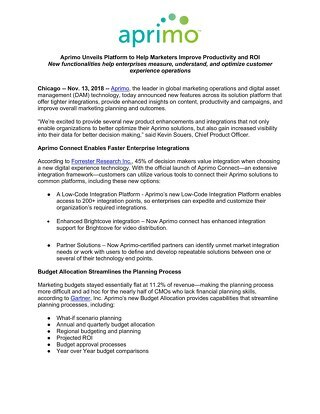 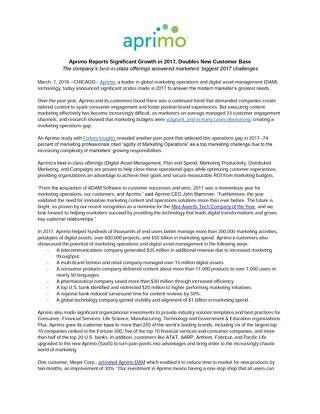 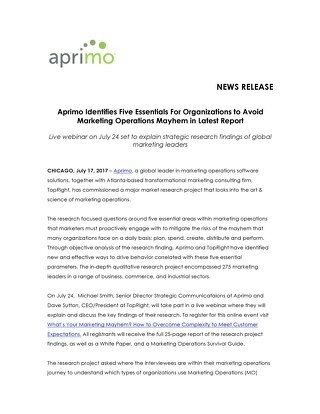 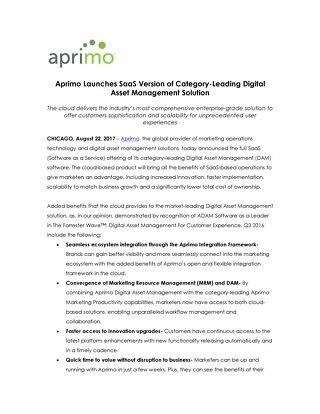 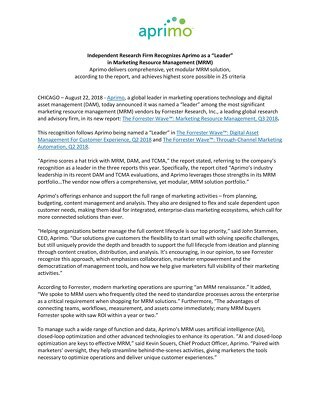 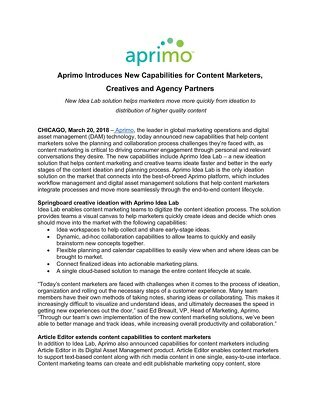 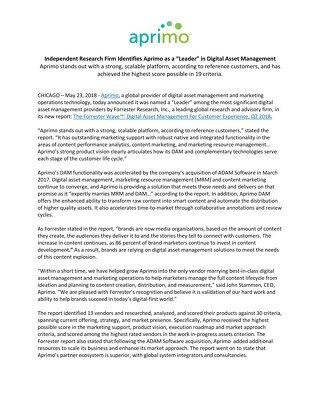 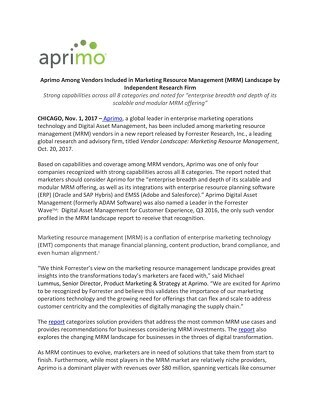 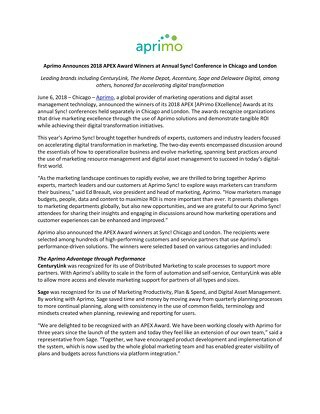 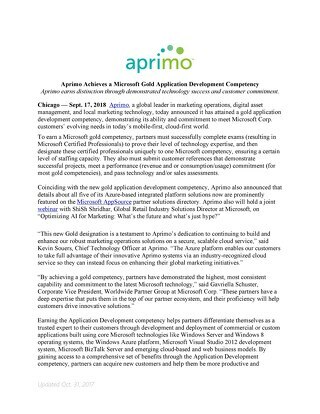 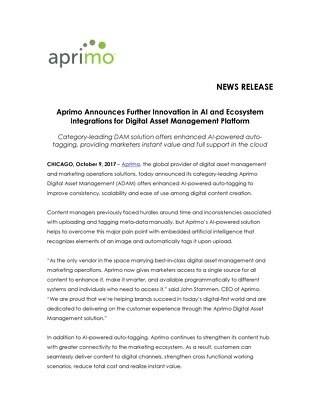 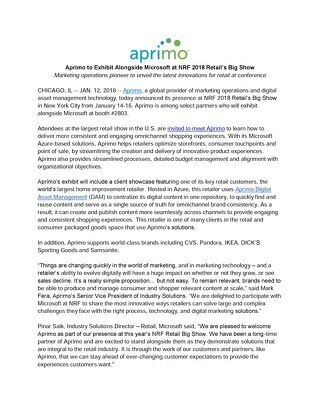 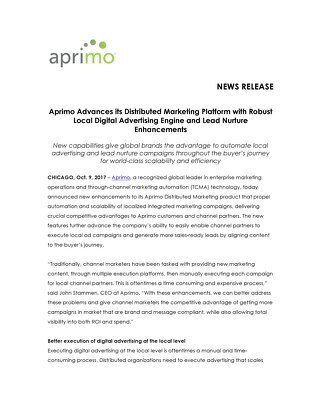 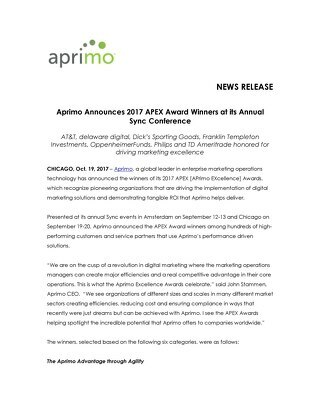 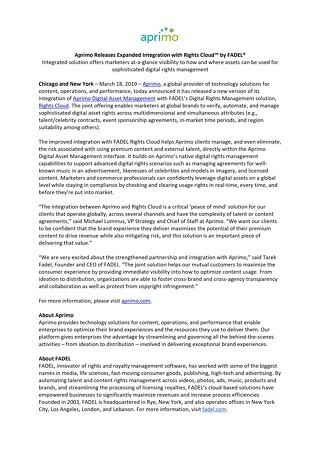 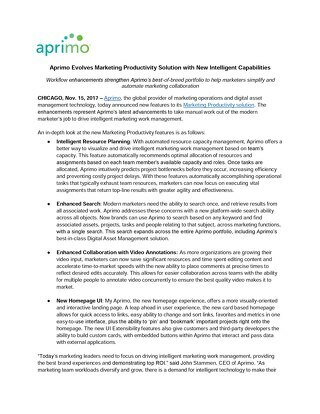 Chicago and Malmö, Sweden (April 3, 2019) – inRiver,the leading provider of SaaS-based product information management (PIM) solutions and Aprimo,the leading provider of technology solutions for content, operations, and performance, today announced a strategic partnership and development of a joint solution to bridge the gap between raw product content and creating engaging marketing experiences to drive revenue. 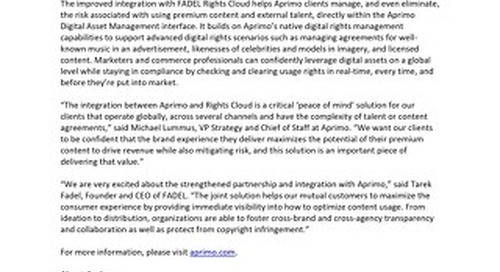 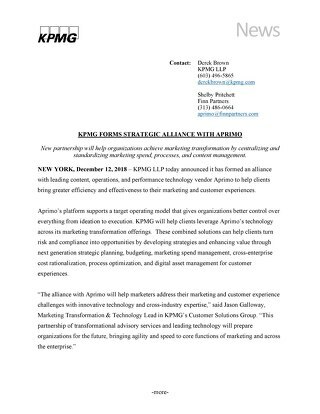 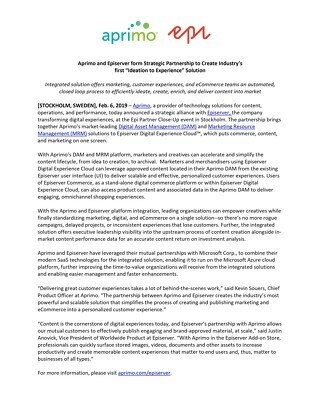 The partnership will help e-commerce, customer experience, and creative teams drive a consistent customer experience seamlessly across platforms. 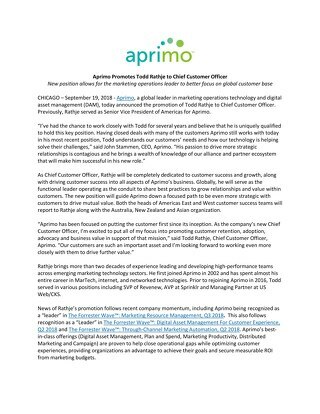 Learn more about how to leverage the Aprimo and inRiver Product-to-Experience solution and deliver a better omnichannel customer experience here.If attending PIMpoint Summit 2019, request to meet the Aprimo and inRiver teamsfor more information.